Katia & Richard are Fun In The Sun Weddings’ newest Newlyweds! Three hard years spent in a long distance relationship have now been rewarded with a lifetime together. Katia & Richard met at school in Japan. They had two classes together, and the first time that Katia walked into the room, Richard was sitting right beside the door. Katia says she thought he was the most fascinating person she had ever seen, and Richard remembers that he couldn’t breathe. Initially, they both assumed the other to be out their league. But gradually, in a class called Argumentation, their relationship developed. Their first “official” date was the last time they would see each other in months and marked the beginning of their 3-year long distance relationship. Airports became the most amazing, but also the most miserable places on earth – places where we say hello and goodbye. They got engaged on the other side of the world from where their relationship began. Richard took Katia on a fishing trip in Ocean Shores, Washington, armed with a ring that his mother helped him choose. When a fish was lost, Richard seized the moment and told Katia that she was the biggest catch of his life, and he got down on one knee to propose! Of course, it is not surprising that a couple of Globetrotters like Katia and Richard would choose to have a destination wedding! 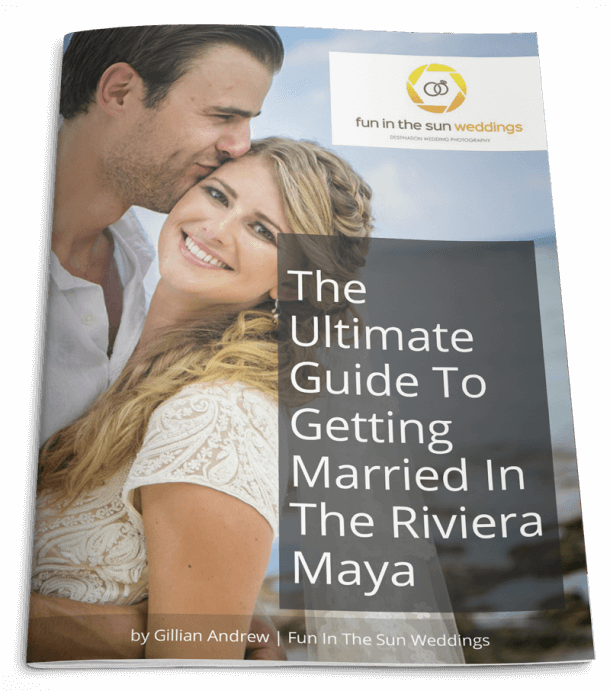 They settled on Cancun as a location because they wanted to be married by the ocean, and it was an area that Richard had visited with father and absolutely loved. It’s important to understand that these don’t make your special day – it’s the people around you and your soul mate. Things cannot and should not go perfectly well, there will be little hiccups. These imperfections make the day special. 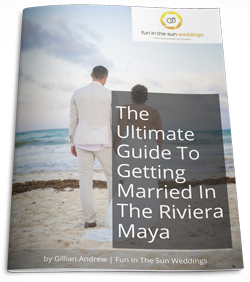 Their wedding day at JW Marriott Cancun Resort & Spa was better than expected, and everything worked out brilliantly. They didn’t get a second to sit down and enjoy the delicious food that was served, and they both ended up completely soaked from the water drums at their reception, but they had FUN, enjoyed every single moment of the day, and in the end, that’s all that counts. Katia & Richard, we are SO happy that you have finally found your Happily-Ever-After! We wish you all the best things in life as you start this new chapter of your lives together as a family. Congratulations! 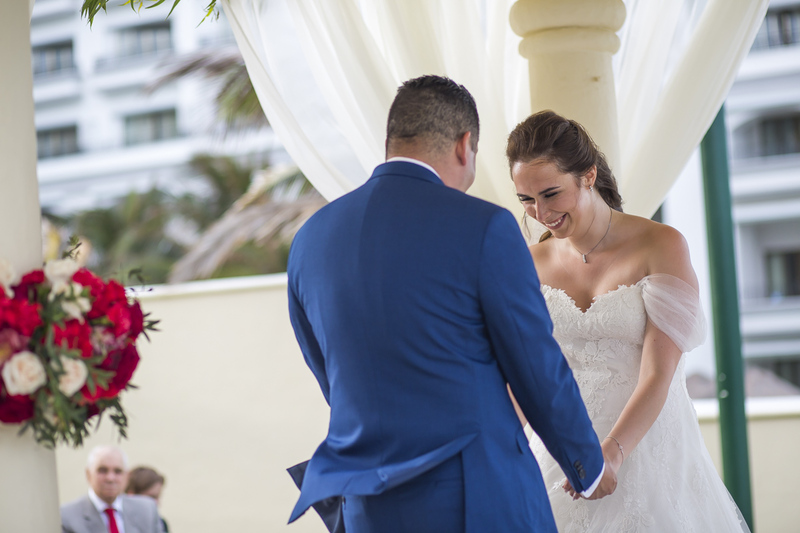 And if you are looking for the best Cancun wedding photographers for your beach wedding, then get in touch with us today! We are Fun In The Sun Weddings, the best wedding photographers in the Riviera Maya, Mexico. Special thanks to: Mayan Riviera Photobooth for the fun memories, Zaida Marcos for the cake and sweet creations. Want to know more about JW Marriott Cancun Resort & Spa? Read unbiased reviews on Tripadvisor here. Marc and Gillian - thank you for making it possible to keep our memories from that day for eternity. You are so incredibly helpful and fun - a power couple that helps other couples truly enjoy their day with no stress. Thank you thank you thank you!